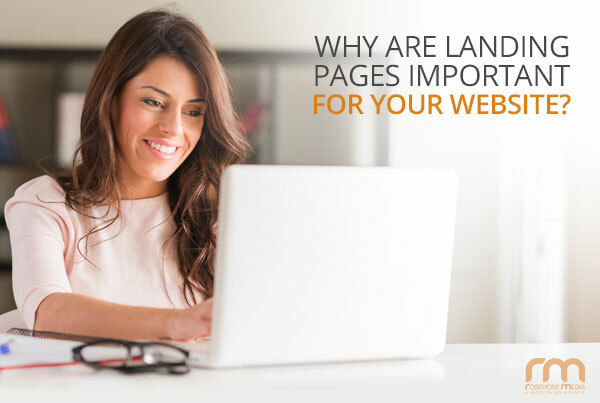 A landing page is kind of like a table of contents, offering viewers an easy portal into pages and topics belonging to a specific area of your website. While they may seem pretty basic website design elements, landing pages are actually much more than meets the eye. For one: they can provide a hotbed of search engine optimization value. For another: they make the entire experience more user-friendly for the viewer. There are all kinds of ways pages such as these can be presented – some prefer lots of technological bells and whistles, while others like a more basic, streamlined approach. With that in mind, both of these landing pages serve essentially the same purpose, and the style of content and design is largely dependent on your preferences. As you can see, the first example in the images above has an introductory paragraph followed by a list of links leading to the corresponding pages. The second example’s links are accompanied by brief descriptions of the procedure that may serve to entice the viewer to click through. While there are some distinctions, these two types of landing pages have many things in common, including one very important one: linking opportunities! Interlinking, also referred to as crosslinking, to other pages within your website is a critical element of dental and medical SEO. It’s always helpful when viewers look at more pages and stay for longer periods on the site; plus, they may see a procedure or topic they hadn’t considered or previously knew about and click through to find out if they may be interested. Not to mention the fact that it just makes it easier for viewers to find what they are looking for. In the past, it was common for multiple topics to be introduced and described on a single page. It’s now much better for visitors to your website (and better for SEO) to have multiple pages covering specific topics. The landing page groups the links for these pages together to provide the viewer with a streamlined experience and easy access to a variety of pages. If you have several pages devoted to comprehensive content on your site, you definitely want prospective patients to be able to find them quickly and conveniently. 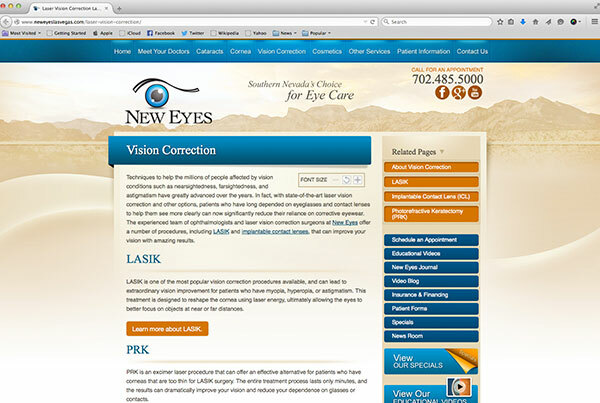 Landing pages are an excellent way to give viewers a more easily navigable virtual view of your practice. This is especially important in responsive website design for mobile devices. On the technical side of things, landing pages make it much easier to categorize and scale your website. You can expand your site by conveniently adding pages to sections and placing additional links onto the landing page for the specific section. With a landing page, your new page will have a clear destination and should be just as easy to find as your other pages. This is particularly beneficial for large websites covering many different topics and describing a wide variety of procedures – and since consistently adding content is an important factor in Content Marketing and SEO strategies, landing pages are often a big help. Landing pages allow you to provide viewers with a number of images, graphics, and other visual elements that help them navigate through your website and give them a clear idea of how certain procedures can benefit them. 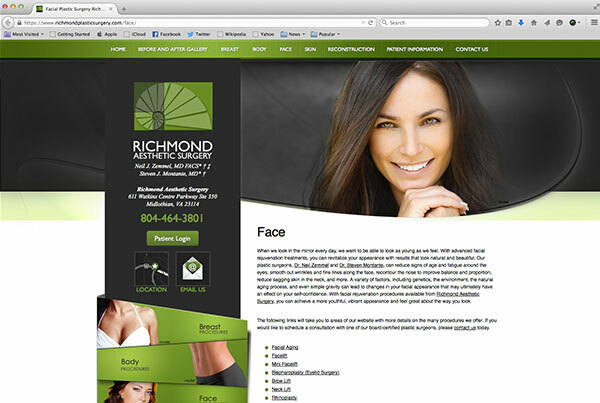 You want your website to give viewers an inviting, easily accessible path through your practice and what you offer. Beautiful and educational imagery on landing pages help to serve that goal, providing visitors with a glimpse of many topics and avenues of information. These are just a few examples of why landing pages are so important to modern websites. With high-quality landing pages, you are helping your viewers obtain a more positive experience while giving yourself more tools to enhance your online profile! Please take a look at Rosemont Media’s website portfolio to see how we’ve helped clients all over the world achieve page one rankings and give potential patients an advanced virtual doorway into their practices. If you have questions about developing a new website, or redesigning an old one, our consultants will be happy to speak with you. Contact Rosemont Media today.